Scotland international Ruaridh Jackson has committed his future to Glasgow Warriors after signing a new one-year deal with the Pro14 club. Liam Williams and David Strettle scored a double as Saracens outplayed Glasgow Warriors 56-27 in the quarter-final of the Heineken Champions Cup at Allianz Park on Saturday. Scotland international George Turner will miss the remainder of the season for Glasgow Warriors after failing to make sufficient recovery from successive concussions. Glasgow Warriors head coach Dave Rennie says his team is determined to create history when they face Saracens in the quarter-final of the Heineken Champions Cup at Allianz Park on Saturday. Glasgow Warriors have confirmed that Scotland international Adam Ashe has penned a new two-year deal with the Pro14 club. Saracens have secured a home quarter-final in the ongoing Heineken Champions Cup after they managed to beat Glasgow Warriors 38-19 at Allianz Park on Saturday. Glasgow Warriors have confirmed that head coach Dave Rennie has penned a new one-year deal that will keep him with the Pro14 club until 2020. Scotland international Zander Fagerson is the latest to sign a contract extension with Glasgow Warriors that will keep him with the Pro14 club at least until 2022. Glasgow Warriors have confirmed that Fiji international Niko Matawalu has penned a new contract with the Pro 14 club. 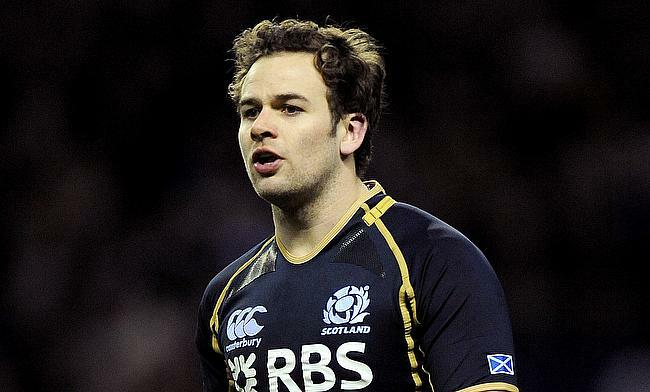 Scotland international Adam Hastings has signed a new two-year deal with Glasgow Warriors that will keep him with the Pro14 club at least until 2021. Glasgow Warriors have confirmed that Scotland international Stuart Hogg will make an exit from the Pro14 club at the end of the ongoing season. Glasgow Warriors managed to open their account in the ongoing Heineken Champions Cup after defeating Cardiff Blues 12-29 at Cardiff Arms Park on Sunday.